The beaches in Falasarna are not just exceptional – they are among the places which you must visit at least once in your life. 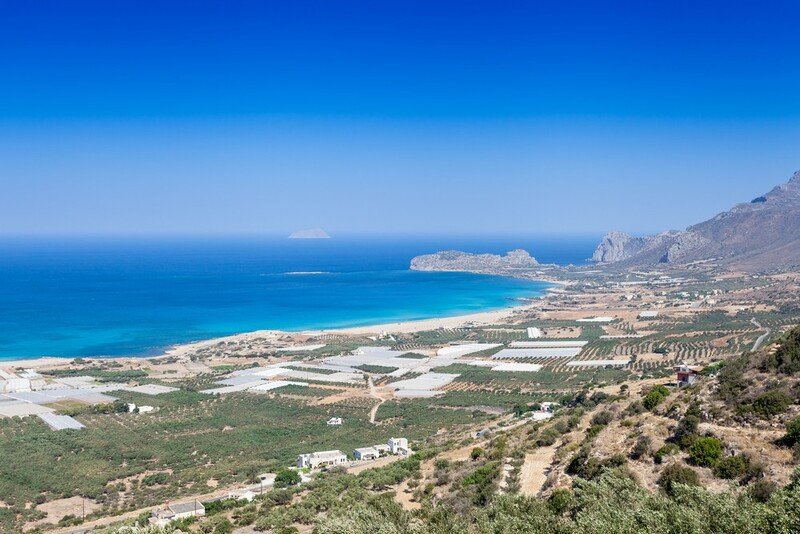 The bay of Falasarna with the blue waters and white sand and surrounded by a green wild landscape, is located 59 km west of Chania and 17 km west of Kissamos. 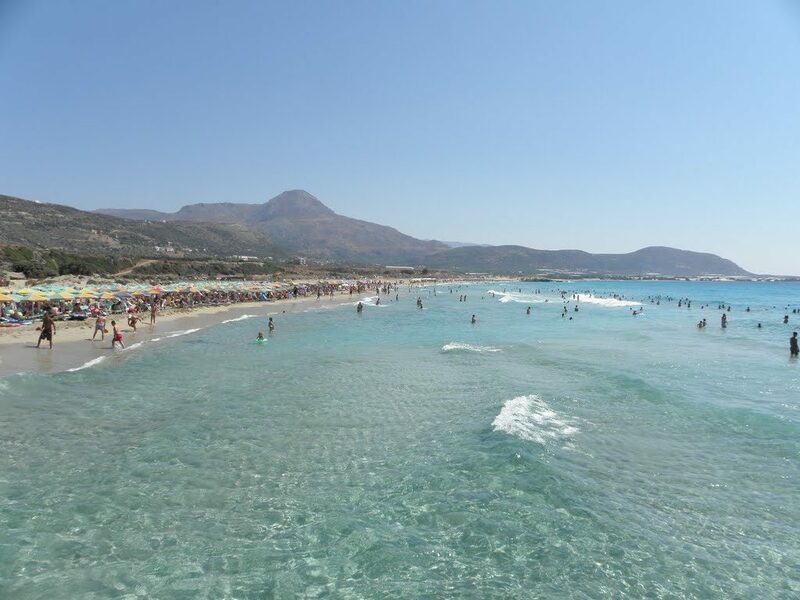 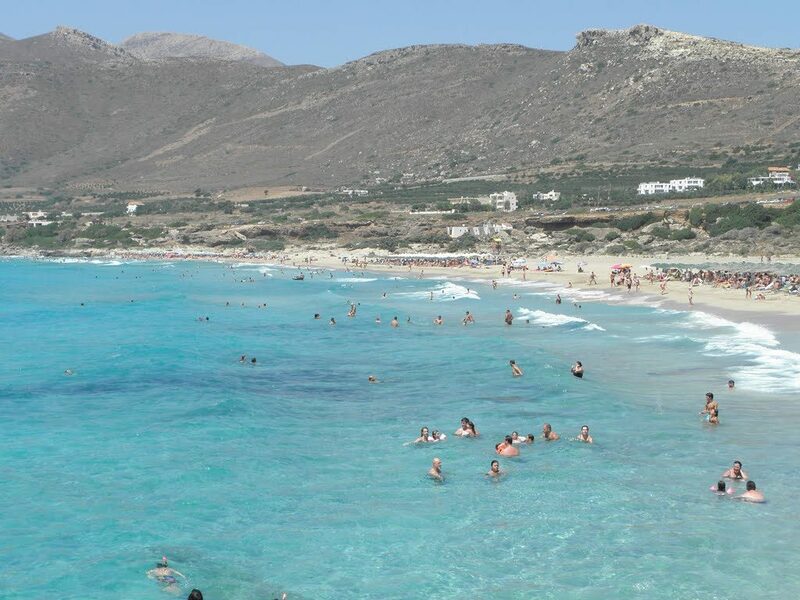 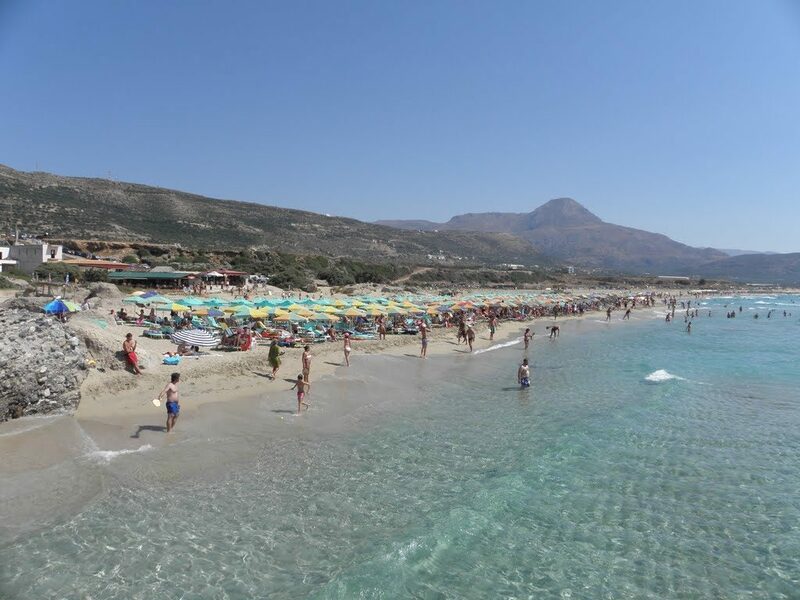 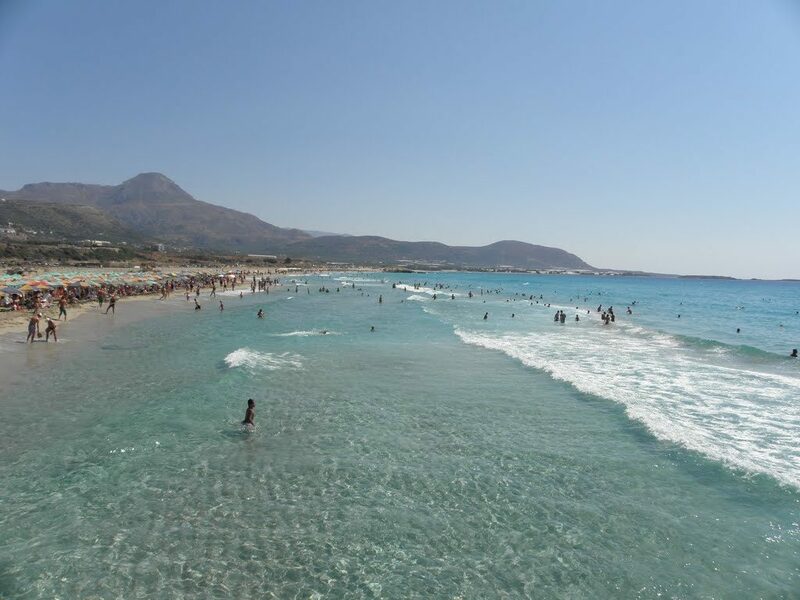 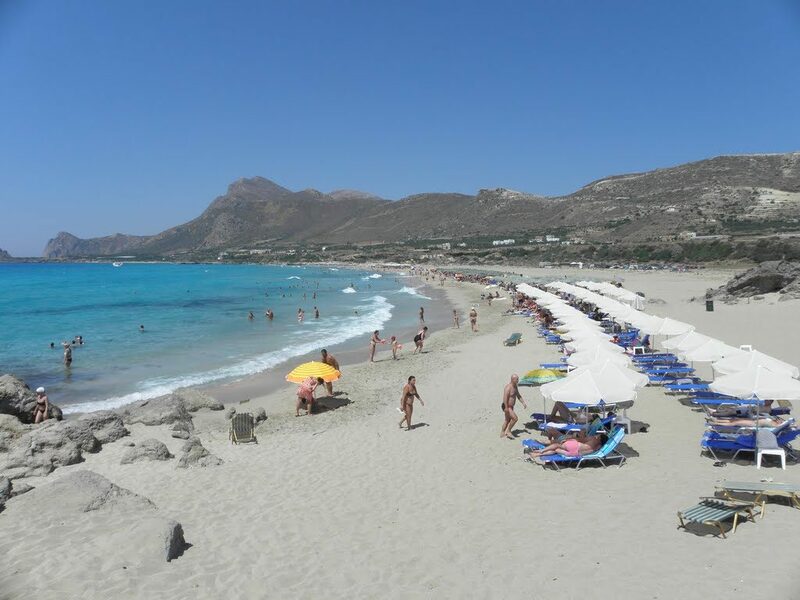 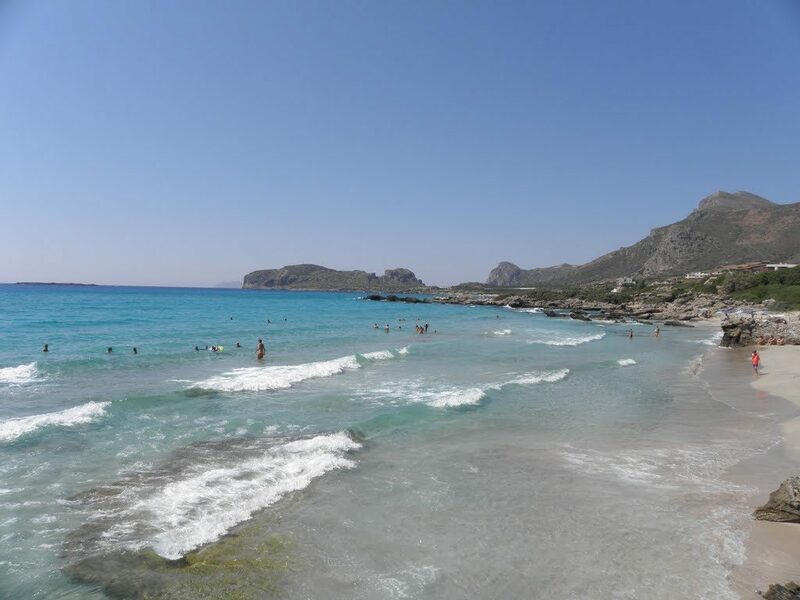 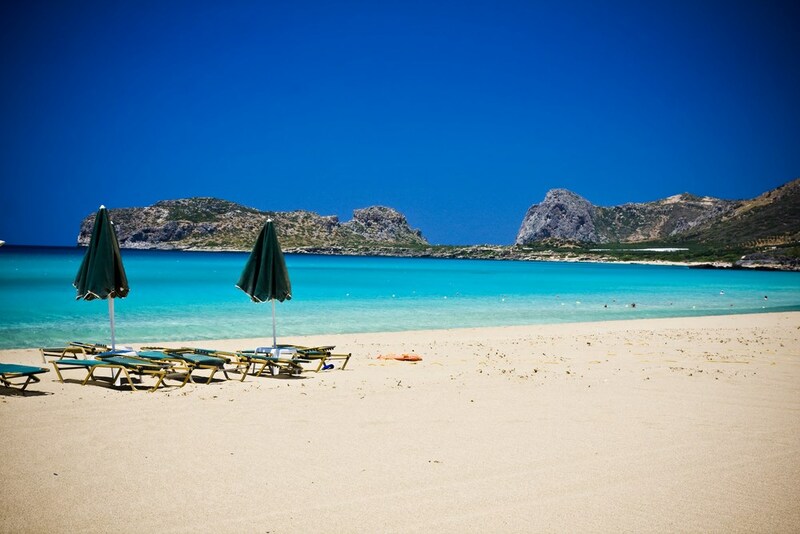 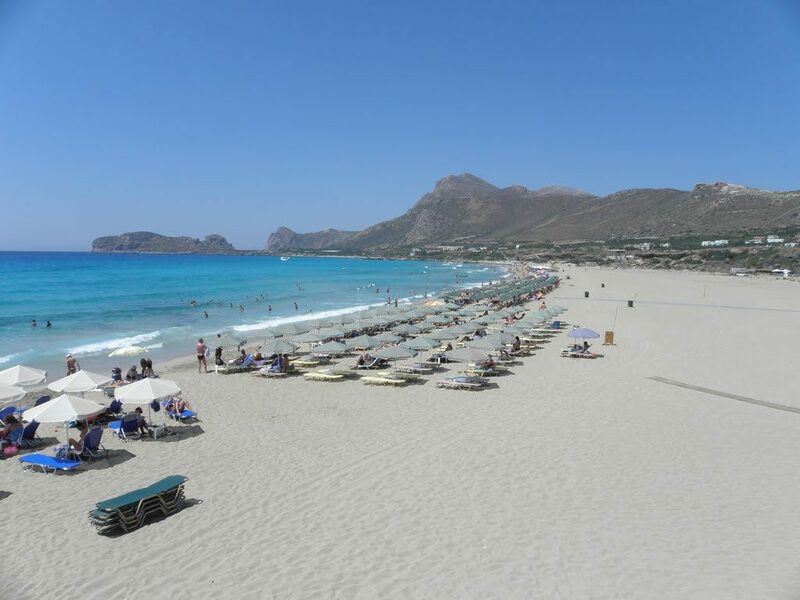 Falasarna has previously been awarded as the best beach on Crete and one of the ten best in Europe. 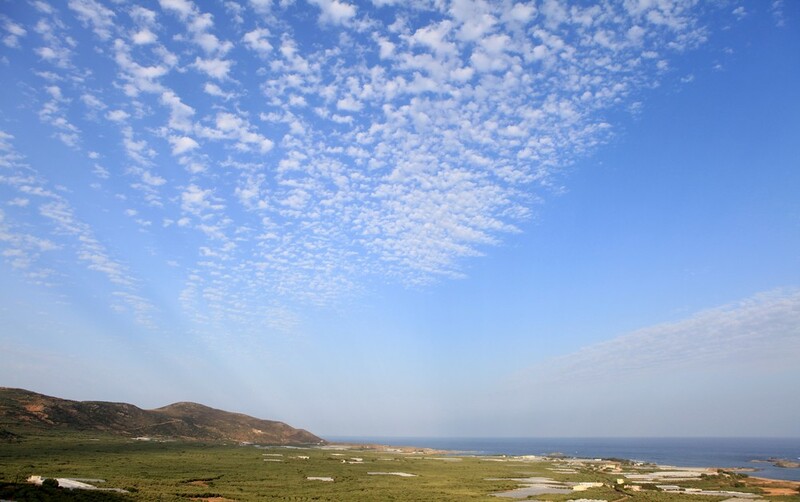 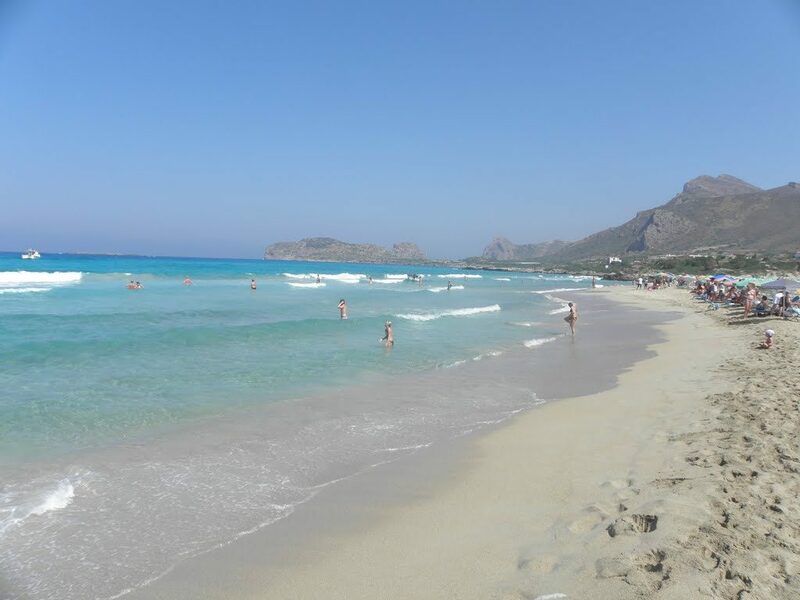 The coastline is very long and actually consists of five consecutive beaches, the two most central of which are the most favorite for most people. 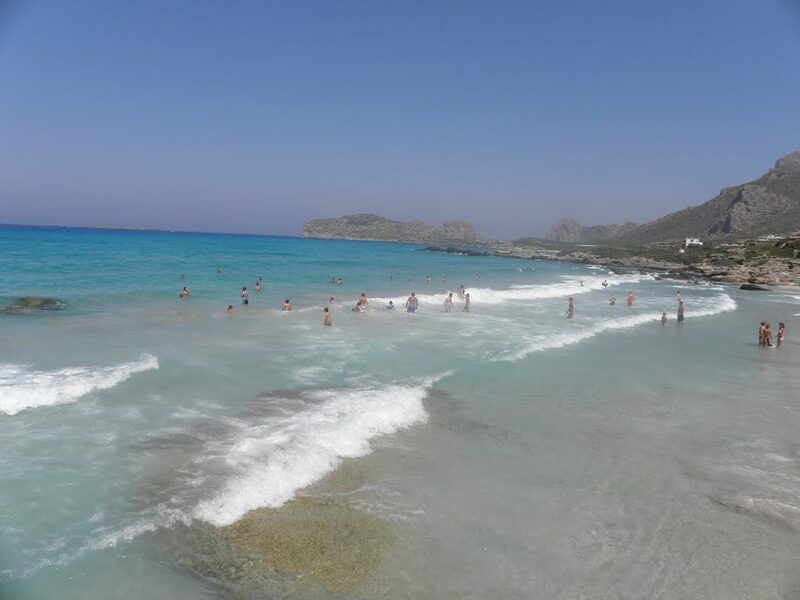 The sand there is very white and as a result the sea water has a tropical color. 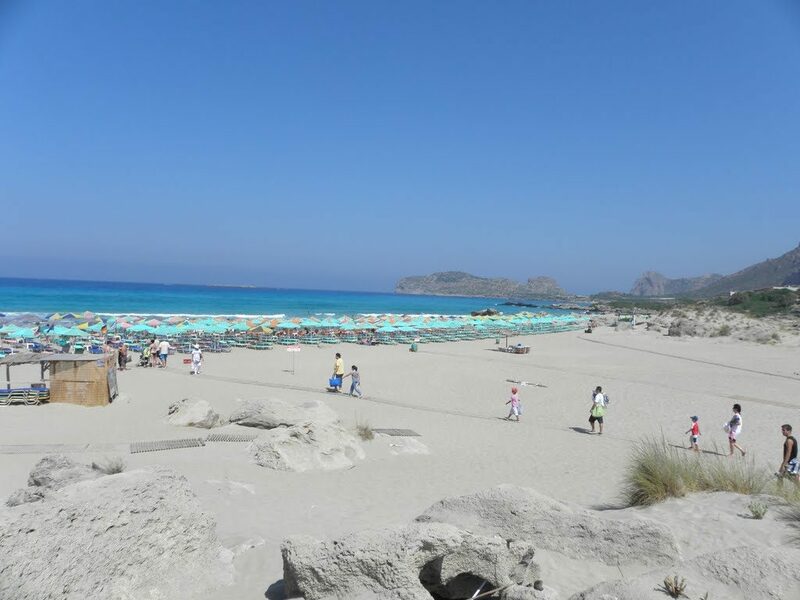 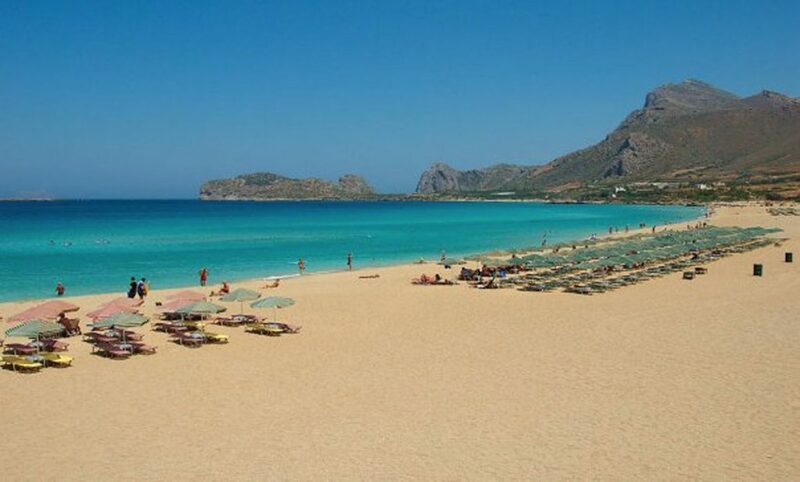 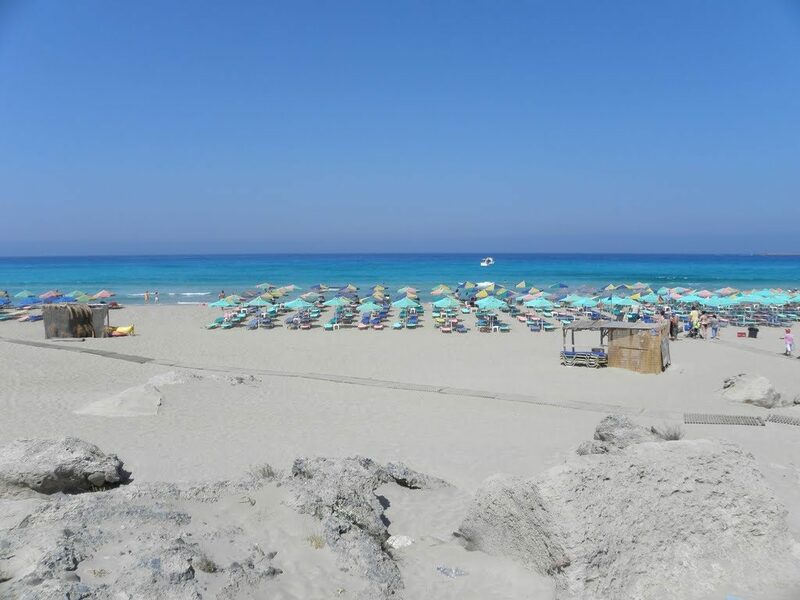 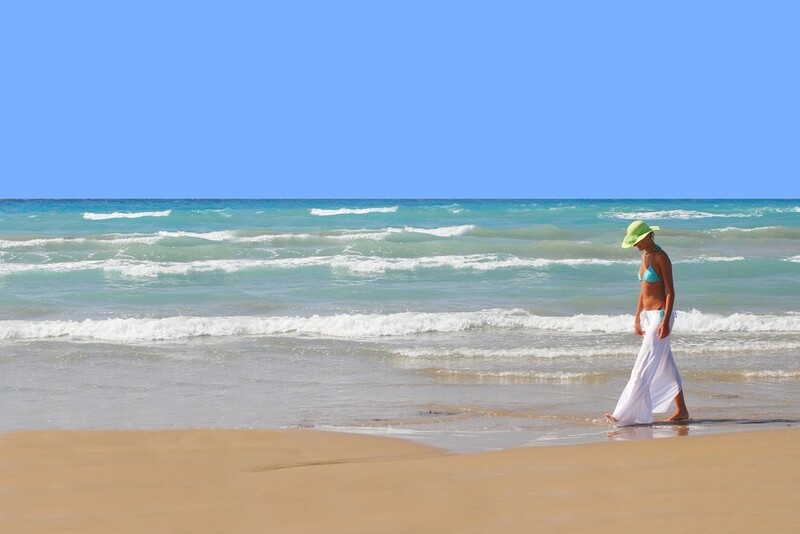 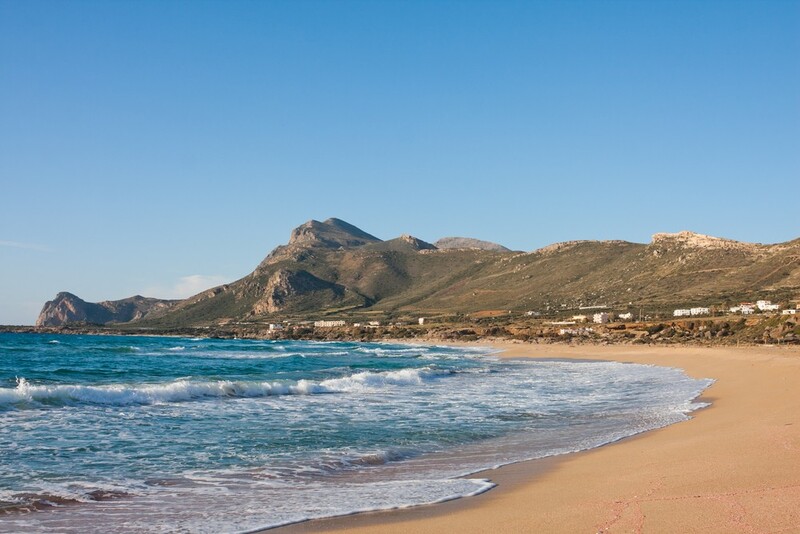 The main beach of Falasarna is called Pachia Ammos and it is an exotic and wide sandy beach one kilometer long. 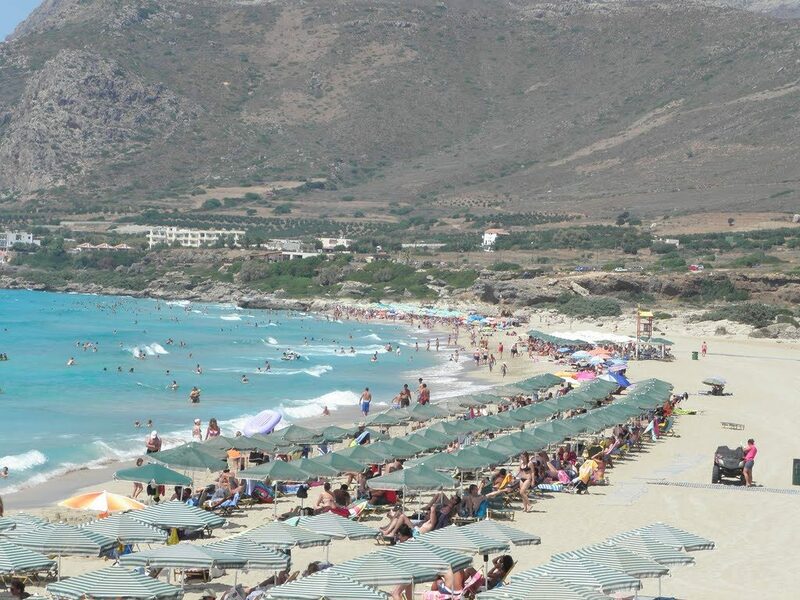 It gathers most people in the area and there are umbrellas and bars where you can buy the essentials. 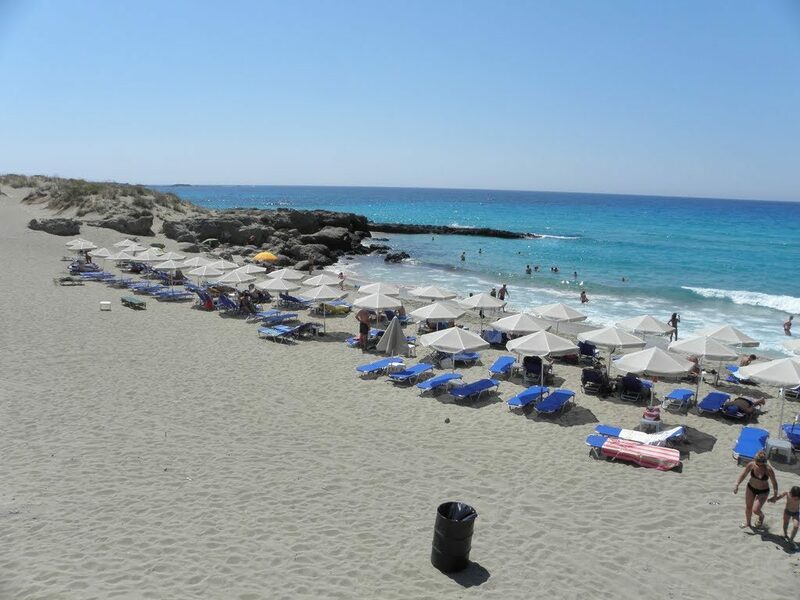 You will also find a beach volleyball court and water sports. 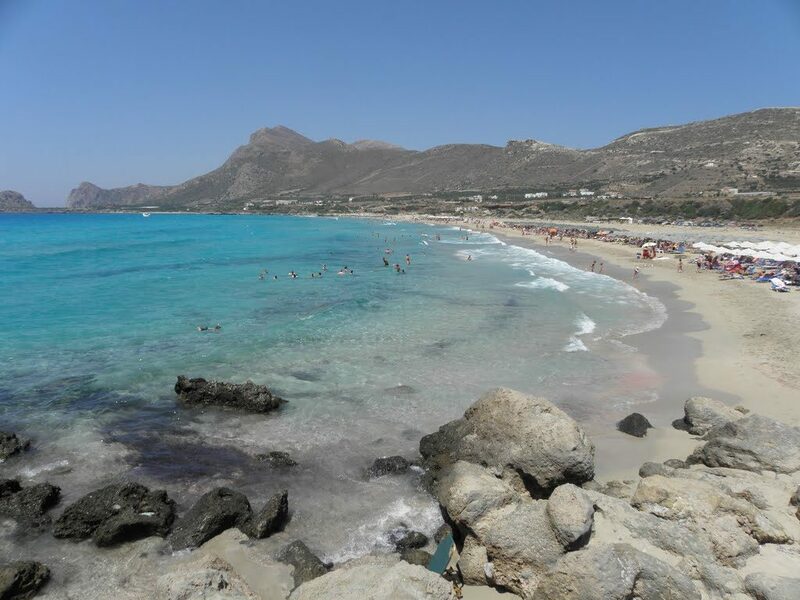 To the north of the main beach in Falasarna there is a second, also long beach of 800 meters, almost the same as the central, separated into individual smaller beaches. 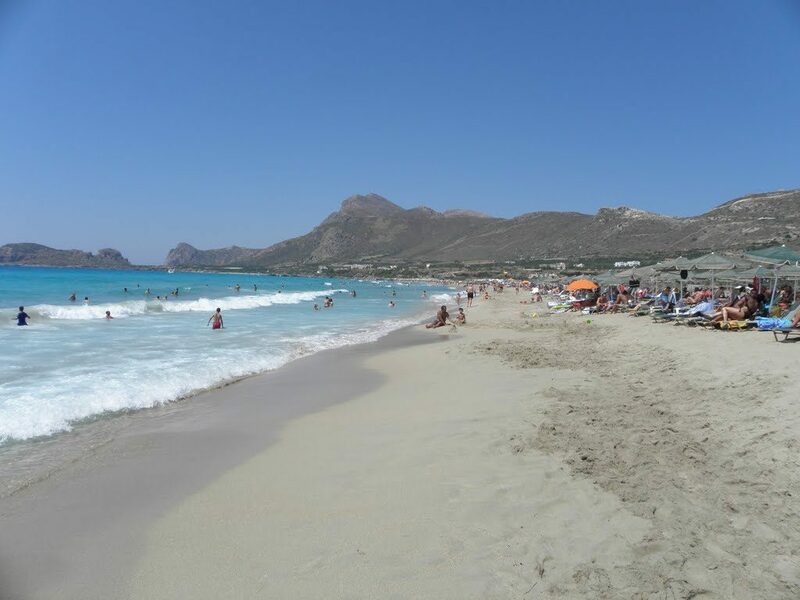 This beach is quieter than Pachia Ammos and is not organized. 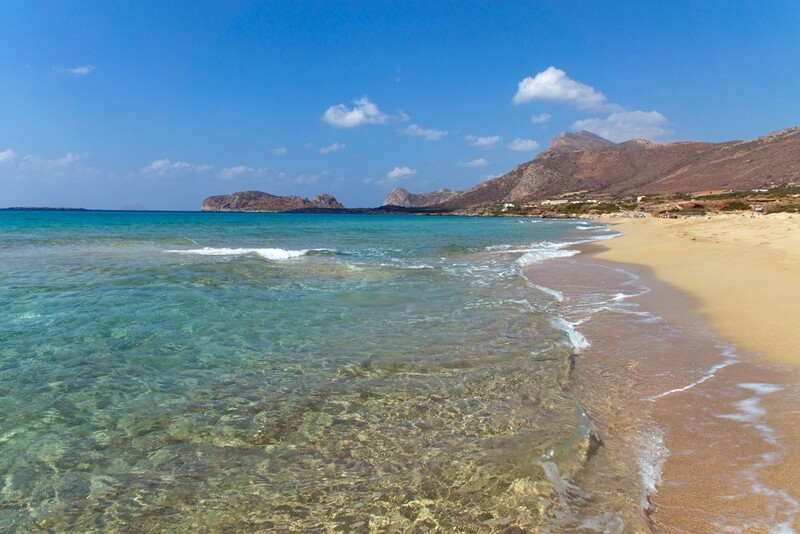 Nearby you will see the church of Agia Paraskevi with a source of fresh water flowing next to it. 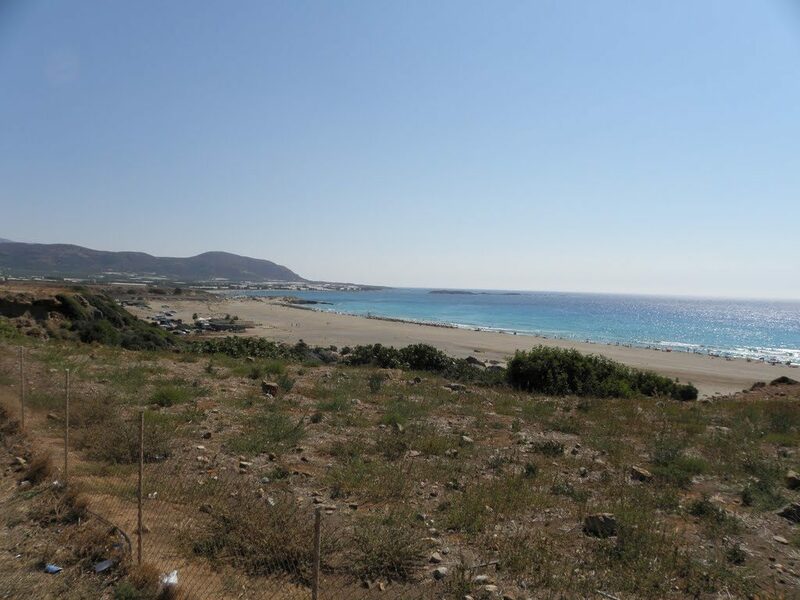 At the northern end of the beach lie the ruins of the ancient Roman city of Falasarna. 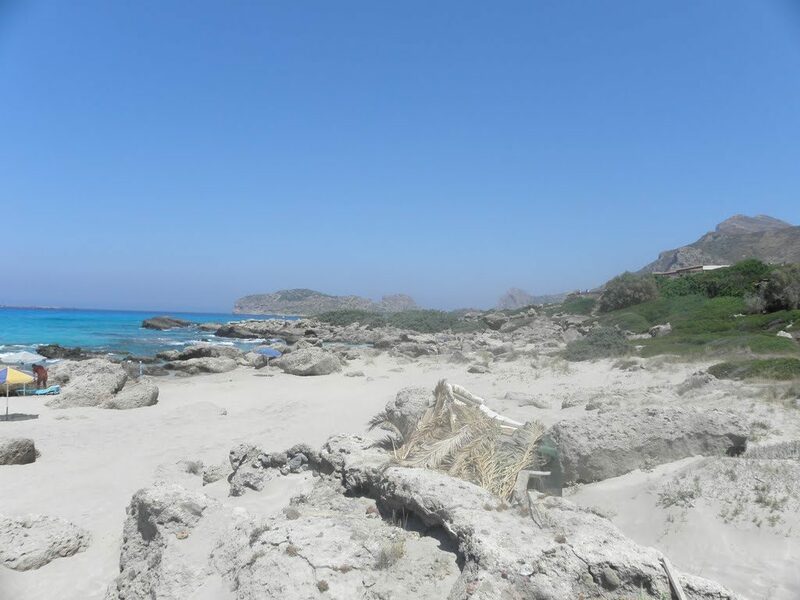 There, next to the archaeological site there is a small bay facing south. 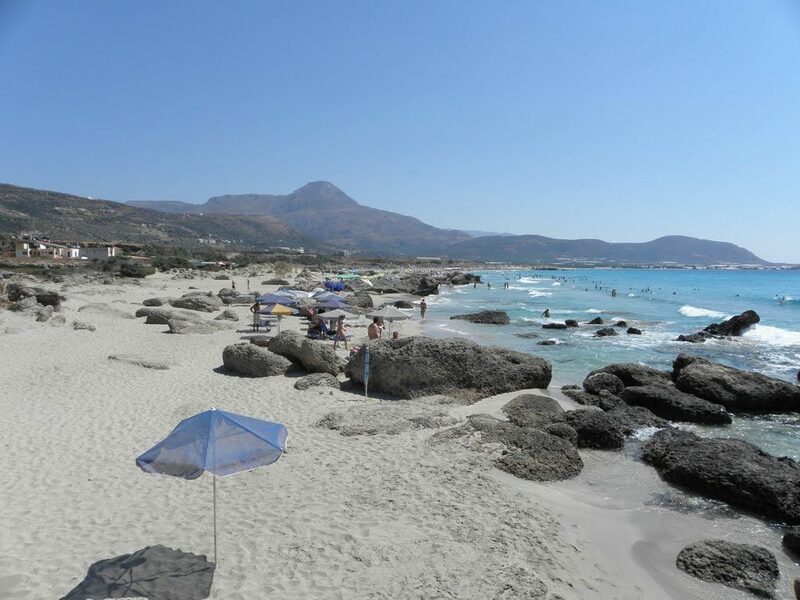 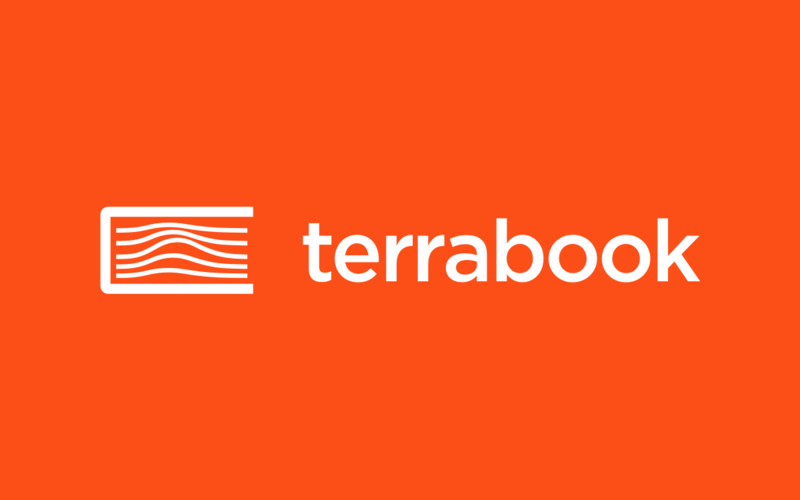 The coast has pebbles and the seabed is rocky. 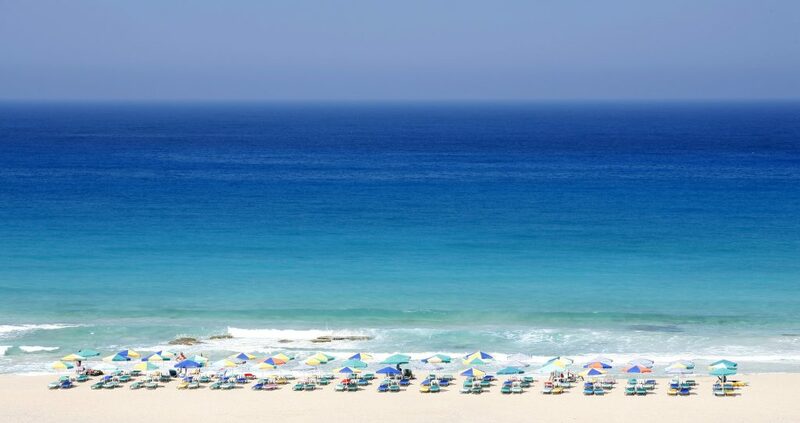 Do not leave the beach before sunset, as the sunset in Falasarna is magical – the sun disappears into the sea as there is no physical obstacle on the horizon! 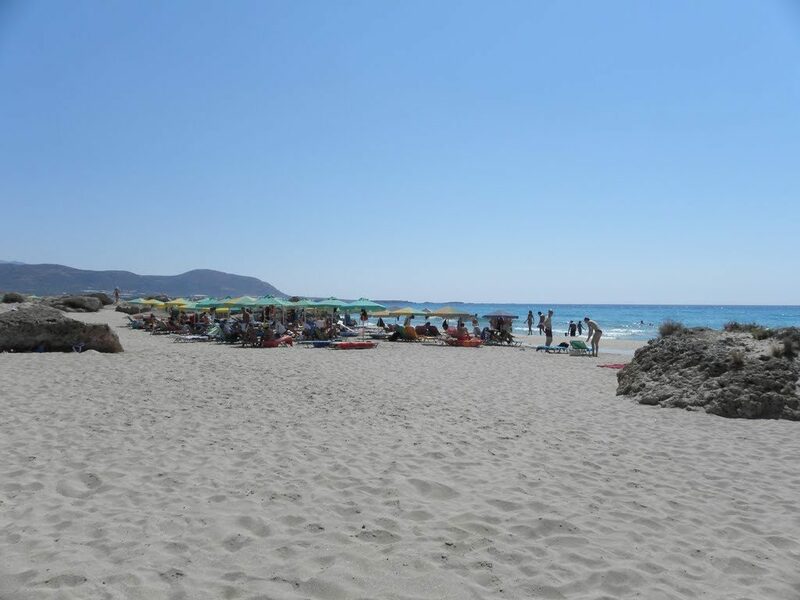 In the evening you might happen upon one of the many parties that are organized on the beach.